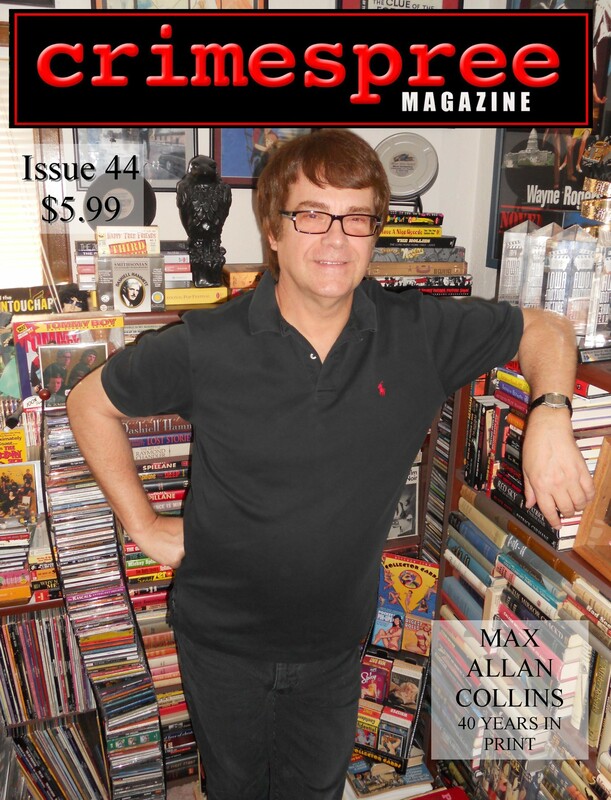 Max Allan Collins’ 40 years in publishing is the cover feature of Crimespree Magazine #44 in an interview by Jon Jordan. Jon also interviews Jeff Lindsay, the author of the Dexter series. Tim Henessey pulls double duty as well by interviewing Frank Bill and Alan Heathcock. Some great short fiction is supplied by Trey R. Barker, Maggie Veness and Alex Segura. Reed Farrel Coleman writes about J.A. Konrath and ebook sales. Craig McDonald looks back Sterling Hayden’s noir life. Ayo Onatade writes about her favorite sidekicks. Other contributors include Linda Brown, Steven Torres, Jen Forbus, Leonard Rosen and Margaret Cole. Additionally, LJ Sellers, Geoffrey Wessel, Chris Ewan and Amy Alessio also provide articles. Finally, there’s a fabulous Holiday Gift Guide for the crime aficionado you know as well as Eye on Hollywood by Jeremy Lynch. Rounding out the 44th issue is DVD Reviews, Buzz Bin and Book Reviews.